Hello and happy Monday to you all! My family and I drove up to New Hampshire to visit family and we are having a blast. It started snowing right after we pulled up to their house and it was just magical. The kids got on their snow suits and tramped around in the show as soon we they woke up the next morning (seriously...it wasn't even 8 am yet). It is SO cold here, but we are really enjoying the cousin play time! 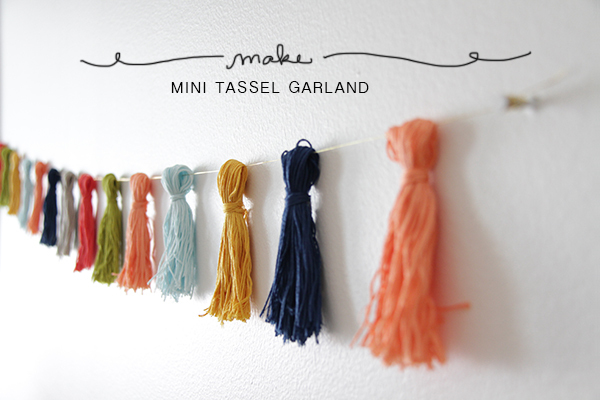 This mini tassel garland by La La Lovely is just that...lovely! Wouldn't they would be fun to make in some Thanksgiving or Christmas colors to adorn your wall or fireplace? 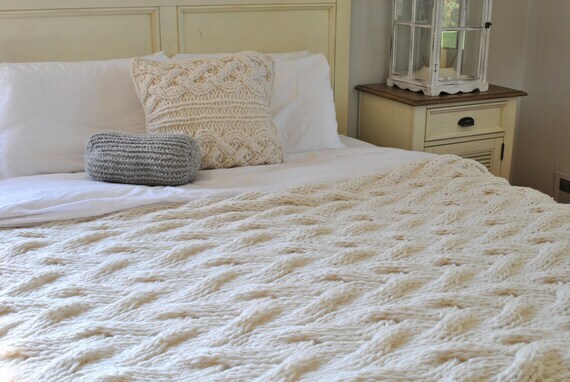 This huge cable knit blanket is exactly what I need right now to keep me warm in this winter wonderland I'm visiting! It is absolutely gorgeous and made by Camp Kitschy Knits on Etsy. The pom poms on this hat are SO adorable! I have a thing for giant, colorful pom poms on hats lately. I love the square version, but the regular hat version is adorable too! Find the pattern at MamaChee. 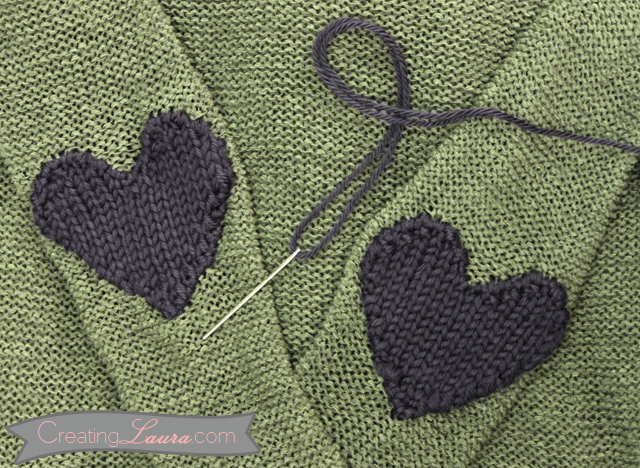 These little heart patches by Creating Laura, are so cute! I think this heart pattern would also be great for a beginning knitter (like me), to start working on increasing and decreasing! I hope you all have a fantastic holiday week! I am excited for the adventures we are going to find while in NH and I am also super excited to share some new products for my shop later this week! These items will be perfect gifts for Christmas!